On Wednesday 3rd March 2010, you are invited, together with musicians and broadcasters world-wide, to focus on music censorship as part or the MUSIC FREEDOM DAY. An annual global event advocating freedom of musical expression initiated by FREEMUSE (Freedom of Musical Expression - The World Forum on Music and Censorship). Music Freedom Day has, over four years, grown into global event that inspires increasing numbers of musicians and concert organisers to join. Mumbai, Cairo, Kabul, Amman, The Hague, Paris and New York are some of the cities planning to organize Music Freedom Day events in 2010. National broadcasting stations in Germany, Norway, Sweden and Spain will produce special programmes on music censorship and freedom of expression. Music and musicians have always generated enemies, who censored music (Stalin censored modern composers. Hitler banned all jazz music and music by Jewish composers. US media censored the country band Dixie Chicks, and the Taliban in Afghanistan still tries to stop all music whatsoever). Because of political (e.g. Belarus, Zimbabwe, China), religious (e.g. Iran, Pakistan, Afghanistan), corporate (e.g. USA: Dixie Chicks, and more), gender (e.g. Iran, Afghanistan, and more) reasons. For more about actual cases and Music Freedom Day you can find on websites http://www.FreeMusE.org . 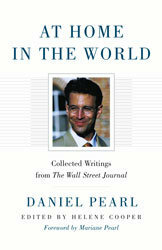 Competition: win 1 x book "Daniel Pearl: At Home in the World"
Who is holding auspices on project "MAKANNA"? Contest is over, lucky winner is: J. K. from Berlin. Attracting between 500,000 to 600,000 people each year, the Jewish Museum in Prague is consistently the most visited museum in the whole of the Czech Republic. The tour of its historical synagogues and its exhibitions (featuring a remarkable variety of items from its collections) provides a unique cultural experience – one of the greatest on offer in the Czech capital. The Jewish Museum, founded in 1906, has one of the most extensive collections of Judaic art in the world, with as many as 40,000 items and 100,000 books. It is unique for the number of items it contains and, above all, for the fact that they come exclusively from Bohemia and Moravia and thus presents an integrated picture of the life and history of the Jews in the region. An independent organization run by the Czech Jewish community since October 1994, the Jewish Museum in Prague has become a dignified memorial to the victims of the Shoah and an eternal reminder of the beauty and greatness of Jewish culture. Jewish Museum in Prague is co-organiser of projects "7 Candles" (Year of Jewish Culture - 100 Years of the Jewish Museum in Prague), "Weinberger Tour" and "MAKANNA". His Sonata for Cello and Piano was completed on 11th December 1914. There are no records of any performance at the time of its creation. Finally long time after Schulhoff's death his friend Vlastimil Musil provided this work to Cellist Ivan Měrka who premiered it with pianist Věra Čanová 13th August 1964 in Ostrava. Thanks to its technical difficulties this composition is not played very often, even by our opinion is, one of so called, big cello sonatas. 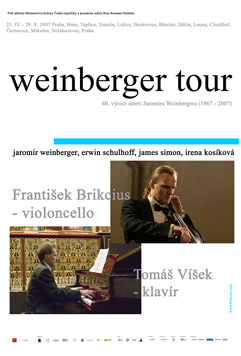 Schulhoff's Sonata for Cello and Piano has been performed by Czech Cellist František Brikcius and pianist Tomáš Víšek as part of concert tour "Weinberger Tour" reminding 40th anniversary since the death of Jewish composer Jaromír Weinberger. 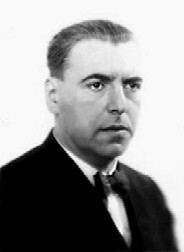 For more about Erwin Schulhoff visit http://www.Brikcius.com and http://En.Wikipedia.org/Wiki/Erwin_Schulhoff .